Two 37,500dwt bulkers on order at Yangzhou Gouyo shipyard. The vessels will be used to carry logs as well as dry bulk cargoes and will each be equipped with four GLBE3026.2-2/2426.2gr variable frequency drive (VFD)-type marine cranes. The cranes are scheduled for delivery by the end of 2014. A repeat contract for two 63,000dwt bulk carriers on order at the Dayang shipyard for Greek owner whose two new vessels will each be equipped with four GLB3629-2/28.829 electro-hydraulic type marine cranes. Deliveries are scheduled for the end of 2014. A Greek customer has ordered two 61,000dwt bulkers from NACKS shipyard. The contract will see MacGregor deliver four electro-hydraulic-type GLB3528-2/2828gr marine cranes for each vessel by mid-2015. Five 61,000dwt bulk ships under construction at the Natong Huatai shipyard for Hong Kong-based company.All vessels will be fitted with four electro-hydraulic-type GLB3026-2/2426gr marine cranes, which are scheduled for delivery from the end of 2014 until the beginning of 2016. Four 67,000dwt bulk and log handling vessels being built at the Zheijiang Zhenge shipyard for Chinese owners. Each ship will be equipped with four GLBE3629-2/2829gr VFD marine cranes, planned for delivery starting end 2014. 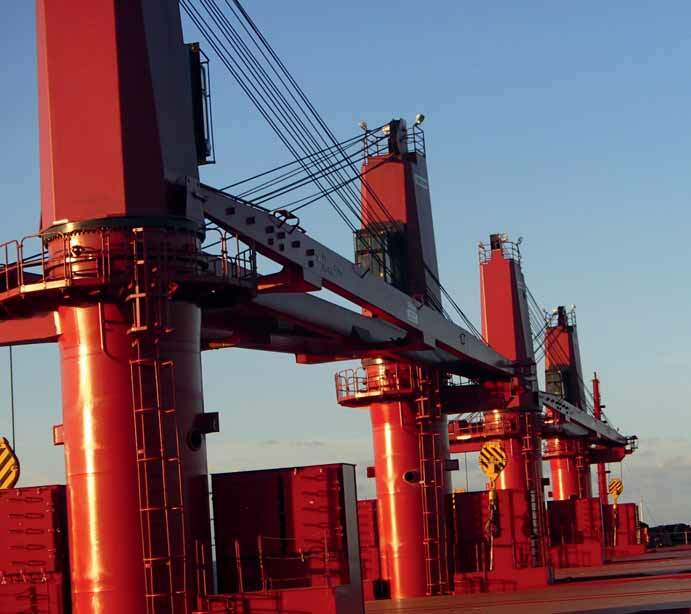 MacGregor provides engineering solutions and services for handling marine cargoes and offshore loads. Its products serve the maritime transportation, offshore and naval logistics markets, in ports and terminals as well as on board ships. Its cargo flow solutions integrate cargo access, stowage, care and handling functions to suit a particular ship's cargo profile.This benefits its productivity, environmental impact and profitable service lifetime.